The Idea - Originating 10 Years Ago. Global Education Management Ltd (or GEM for short) was set up over 10 years ago with the idea that an educational experience for graduates in the 21st Century should be a global one gained from International travel; it should be an International Cultural Experience so that academic learning and employability is enhanced with practical training in a working environment. We wanted to support these aims and find solutions for young people in an increasingly complex, competitive and global world. We are 100 percent a UK based company and extremely proud of our British values and establishment. And finally we are passionate that developed countries should share their knowledge and build up bi-lateral cultural exchanges. 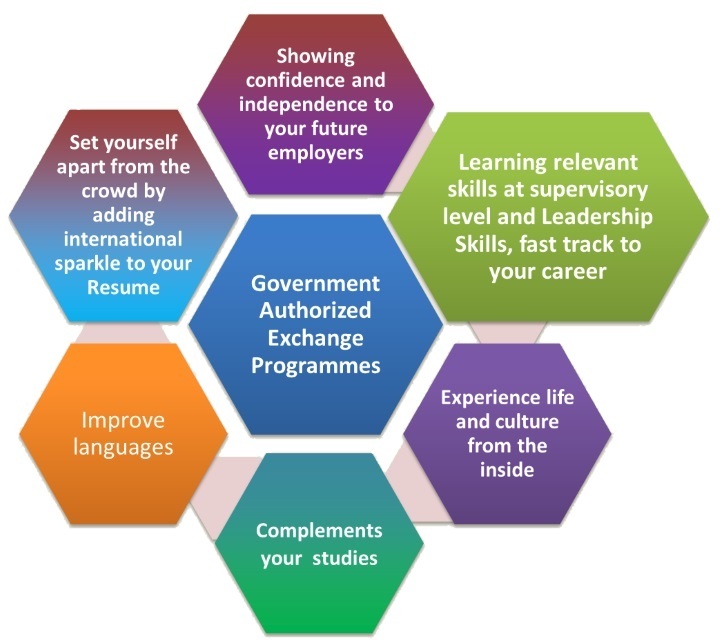 Benefits of Cultural Exchange and Educational Experiences. Being able to apply academic learning in a practical working environment. Immense respect and understanding of different cultures and overcoming prejudice. Central to our business is supporting genuine colleges and students gain the most from their educational travel experience and have a quality experience that is structured and achieves learning objectives. Over the years we have refined and developed our approaches and systems so that we work with genuine partners that share our vision. It has indeed been a work in progress. Our partners have been Universities and Colleges in the UK and overseas. They have been Government Authorised Exchange Partners and also UK Trade and Investment teams across the World. The intangible experience from clients has invariably been that GEM is highly supportive, makes pastoral care central to the student experience and takes time to work with good partners that can give an excellent training experience. Unstinting passion and focus has been one of the key emotions. Global Education Management Ltd has been at the forefront of innovation in educational exchanges and focuses on quality of experience. Please see some of the selected references from our College partners. "The initial cohort of our students who have come back after completing the scheduled programme at UK are very much satisfied with the internship activities included in the exchange programme and international work exposure they have gained. Especially students were appreciating the well defined programme structure given to them during the internship and their interaction part with the hospitality industry at all levels." "South Thames College is extremely pleased to be associated with Global Education Management Ltd. We have at all times received a very professional and honest service. Global Education enables us to provide our students with the work experience to support the academic learning that they receive at our institution. In this way, we are ensuring that our students are highly employable after graduation. We find that our partnership is invaluable." Corporate Membership of English UK- which represents British Council Language Schools. Individual Membership of Institute of Directors (IOD) for over 15 years.